This year the summer has been good for us here in East Anglia. By that I mean the weather has been mostly good to very good. Very few rainy days, the sun has been out and we have been busy. 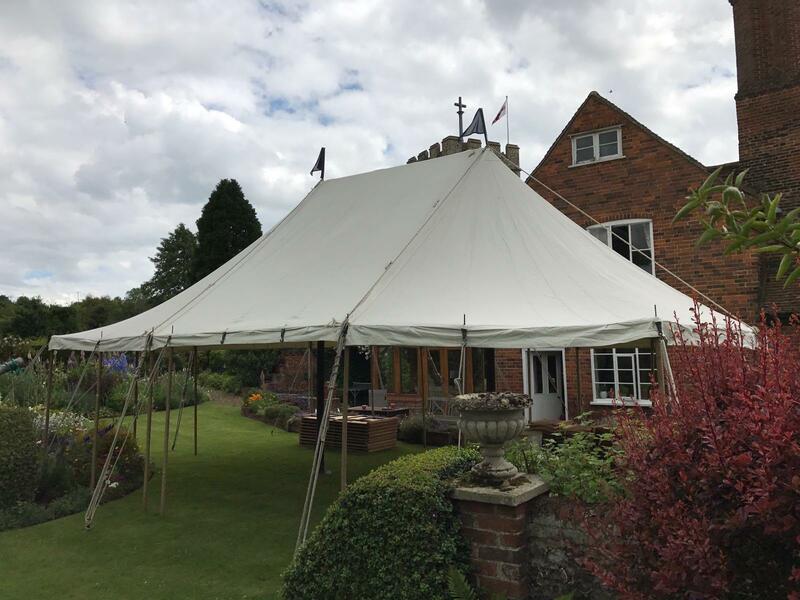 In the last few weeks we have done a few traditional marquees for summer garden parties. See the photos here from a garden party we did in Hitchin, Hertfordshire. This marquee is a 20 x 30 and will host 40 – 60 guests. We set the marquee up on Friday morning and took it down the following Monday. A traditional marquee in your garden is a great option for a party. With more dry days and nights forecast in August you should contact us now to see what BSW Marquees can do for you. Availability is good, we have stock. Last minute bookings are not a problem.